Well, there’s some great news for Virgin Galactic as it prepares for an attempt to send SpaceShipTwo to space. The Fédération Aéronautique Internationale (FAI), which maintains records for aviation and spaceflight, is considering lowering the boundary of space from 100 to 80 km (62.1 to 47.7 miles). 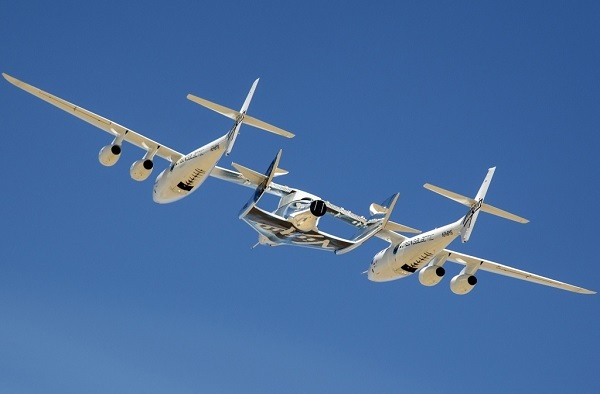 Virgin Galactic’s SpaceShipTwo probably can’t reach the 100 km boundary, which is also known as the Karman line. If the findings lead to a redefinition of the boundary of space as it is in use by international organisations, FAI would review any performances made between today’s statement and the date of implementation of the revised definition in order to ensure that these performances already take into consideration the findings as they exist today. Looks like he finally got some luck. Wonder how long a sat would last at that altitude. So 80km is perhaps more accurate is it? Seems like a very round number. Not 81.763km? Why not define it as an altitude in which a 1kg sphere can remain in orbit without reboost for 365 days? It is all arbitrary in the end I suppose. One orbit if it is dense enough, less if it is high drag. I was always under the assumption the 100km line was set because they didn’t want to give the Nazis credit for reaching space first. You’d need to define the standard sphere beyond just its mass. You can make 1kg spheres of Osmium and of inflated aluminized mylar. Care to guess which is likely to last longer on orbit at any given altitude? Very true, I did mean (in my head at least) a fixed size. And we shall name this new lower boundary the Branson line. That is all. I get the joke, but I would go with the Bob White line as it seems he will finally get international recognition. I fail to see the usefulness of lowering the boundary except as a legal fiction for some purpose. Even a 100 KM orbit would be short lived and 80 is not sustainable at all without heroic reboost efforts. Not that I have a vote but I vote against establishing the Branson Line. Which proves David Duchovny is right. But did the Nazi’s know? The FAI can’t set the altitude now. They have to wait until the next flight of SpaceShip2 and it if gets to 47.7 miles; then they have say that space is 80km and Virgin Galactic will have fulfilled their legal obligations of getting commercial passengers to space. Nah–the line should be **raised** to 200 nautical miles up–and/or anything with orbital velocity.